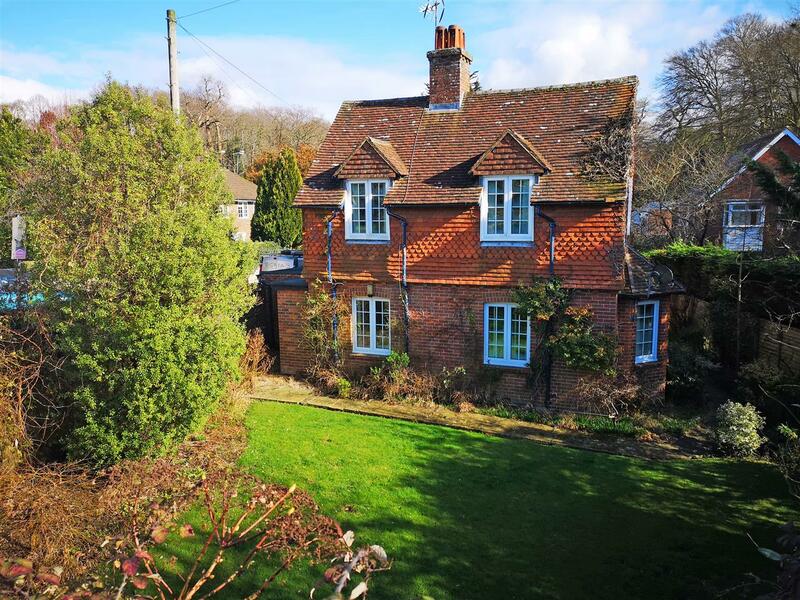 Situated at the foot of the South Downs, this truly delightful Grade II Listed period home is believed to date back to around 1600 and has recently been subject to improvement and modernisation. 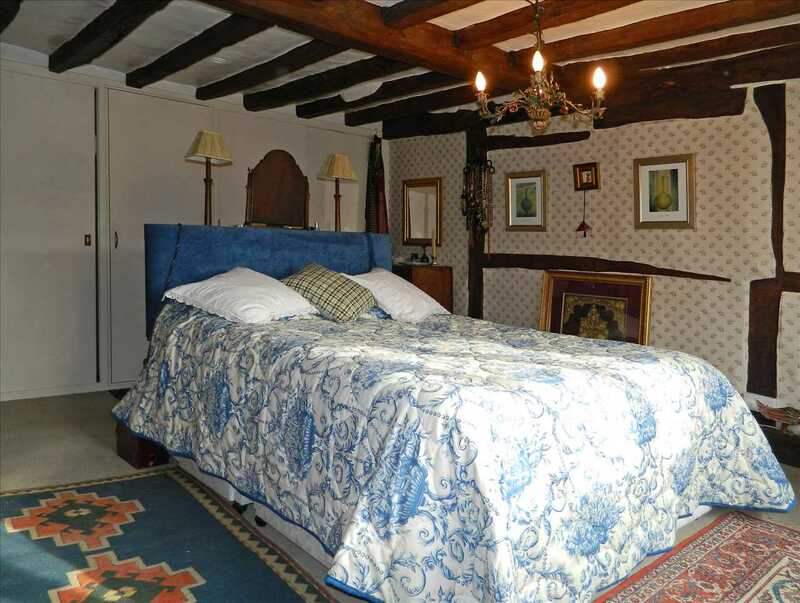 The home offers a wealth of character including exposed beams and a stunning inglenook fireplace with an original bread-oven. 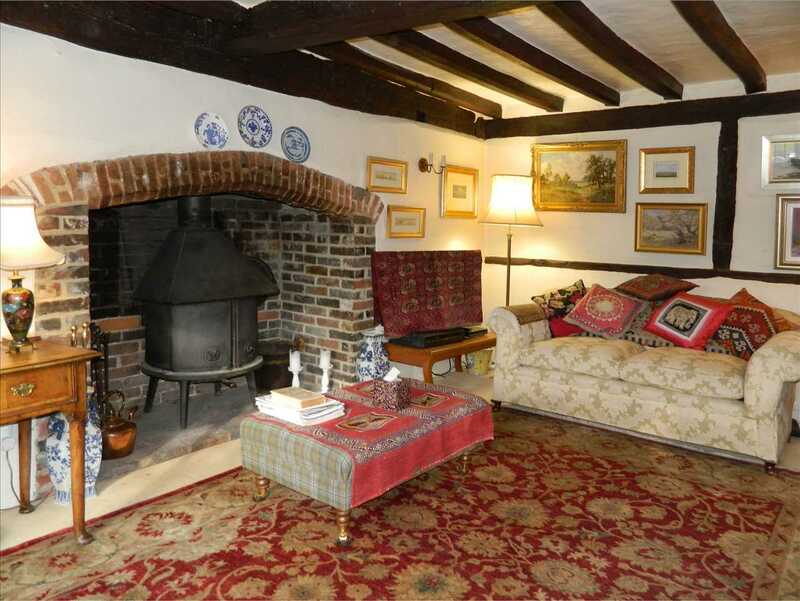 Internal viewing is essential to fully appreciate the charm of this fine village home. 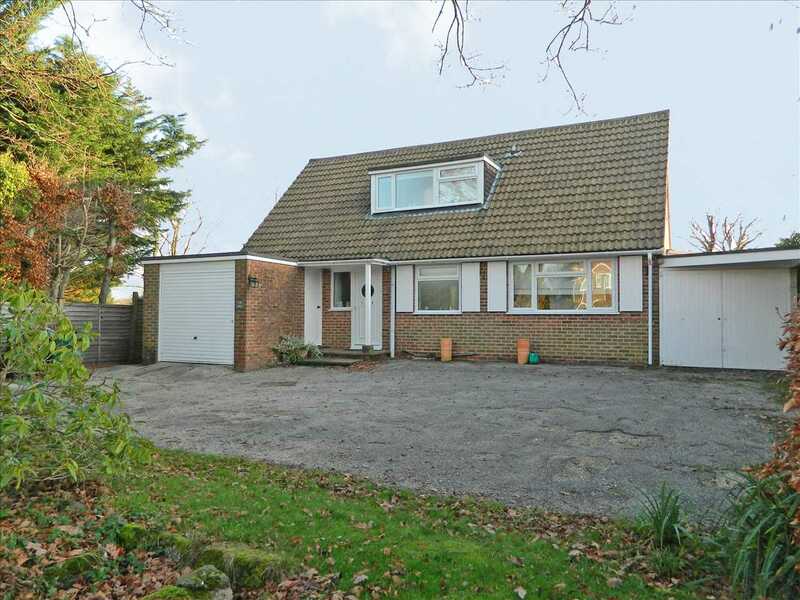 This delightful home enjoys spacious and well-presented accommodation and has recently been subject to significant improvement. 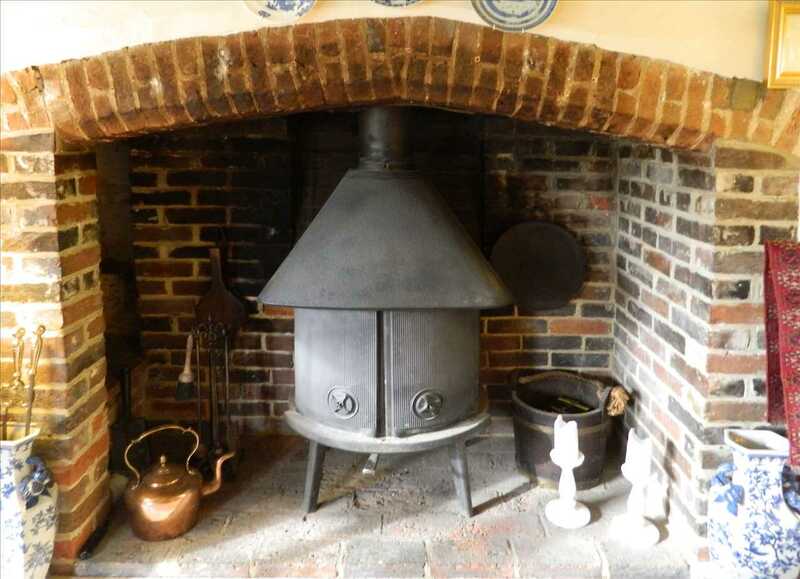 The 17'2 Living Room has a wealth of exposed beams and features a fine inglenook fireplace which still has the original bread oven and is now fitted with a wood-burning stove. Double doors provide access to a large terrace have and a delightful outlook onto the well maintained gardens. 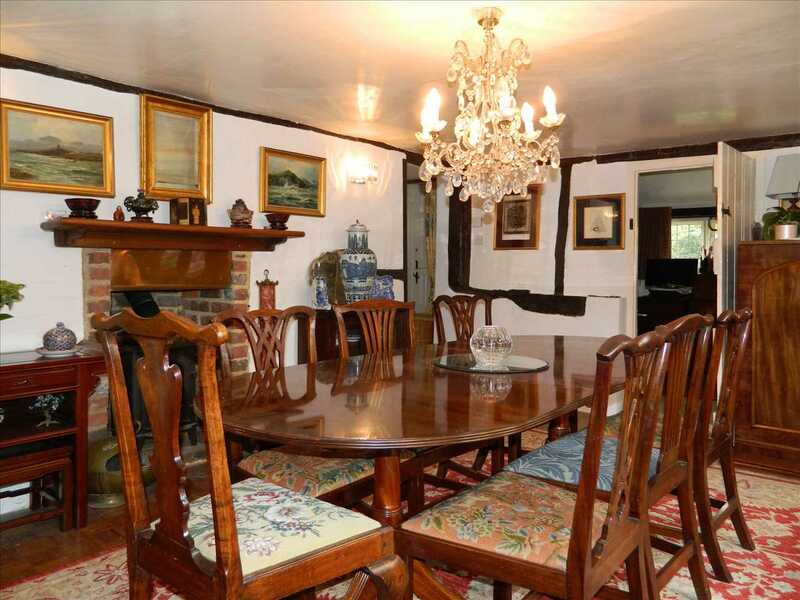 The Dining room is of a similar size and also enjoys a great deal of character and has an open-fire. 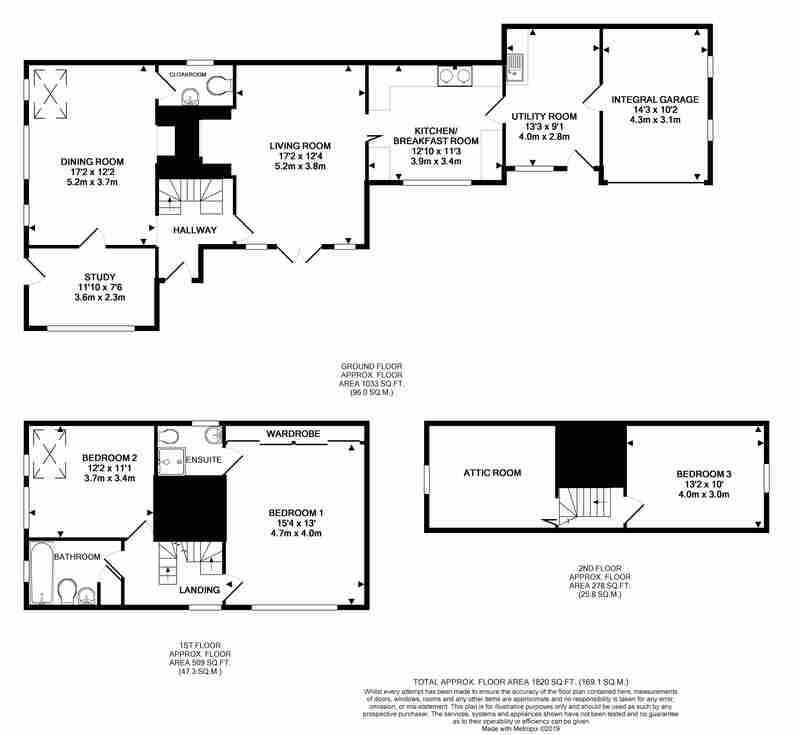 A further reception room is ideal as a study/office whilst the kitchen has been refitted with a modern range of wall & base units and an Aga. 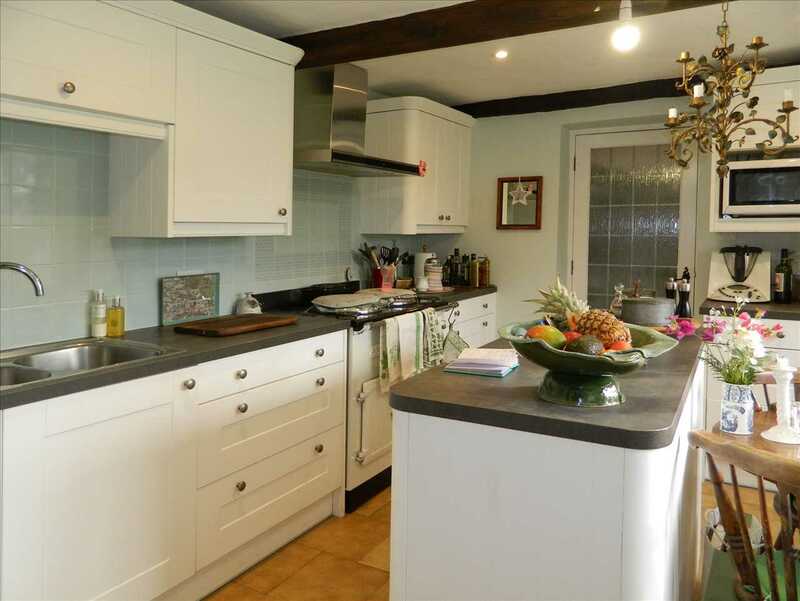 The kitchen leads to a large utility/boot room which in turn leads to a generous garage with electric up & over doors. To the first floor there are two bedrooms including a master bedroom with an en-suite shower room and there is also a family bathroom. 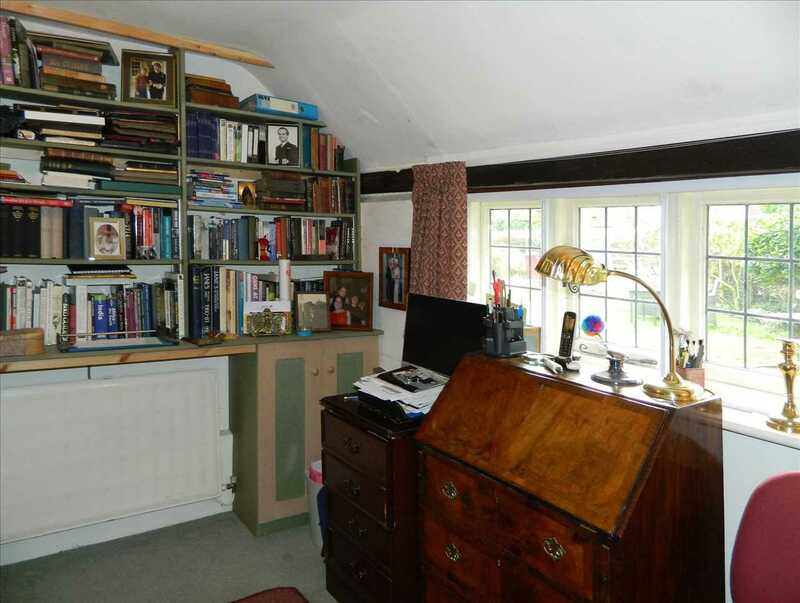 To the top-floor there is a third bedroom with fine views towards the South Downs and a useful attic/storage room. 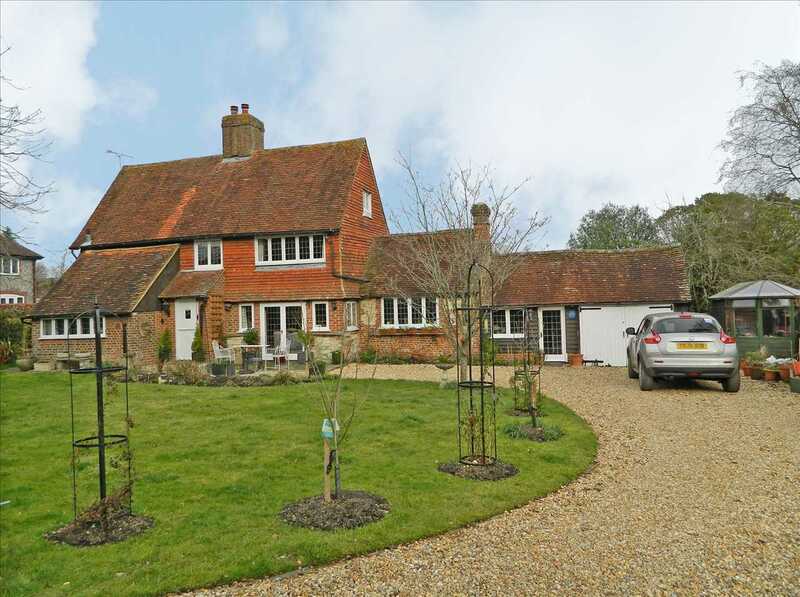 The southerly facing garden is of a generous size and is approached from a sweeping driveway which provides ample off-road parking and leads to the attached garaging. Being laid mainly to lawn, there are well stocked flower/shrub beds to the margins and a patio area adjacent to the home. 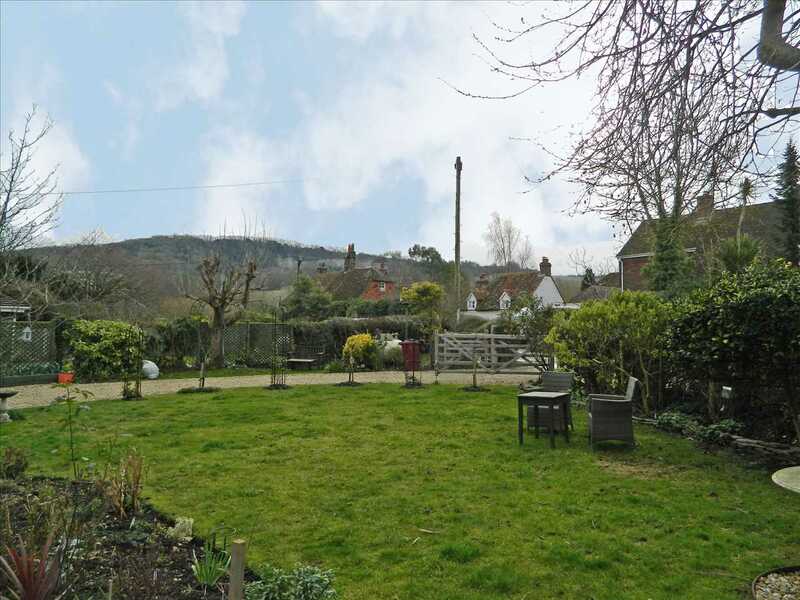 There is a potting shed and a working area of garden to the side of the home and there are views towards the South Downs. Cocking is a delightful Downland village situated to the south of Midhurst and nestling at the foot of the South Downs. 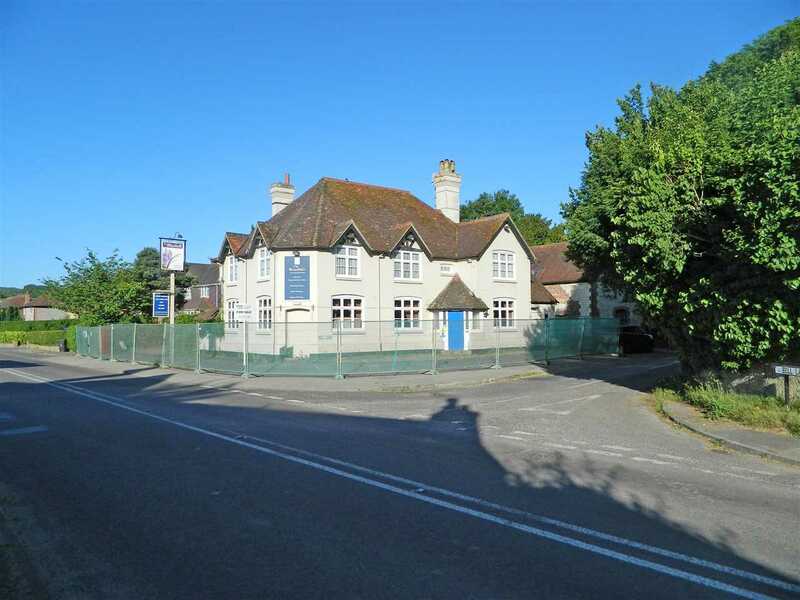 The village has a village shop and there are currently plans to reopen the village pub as a community asset. 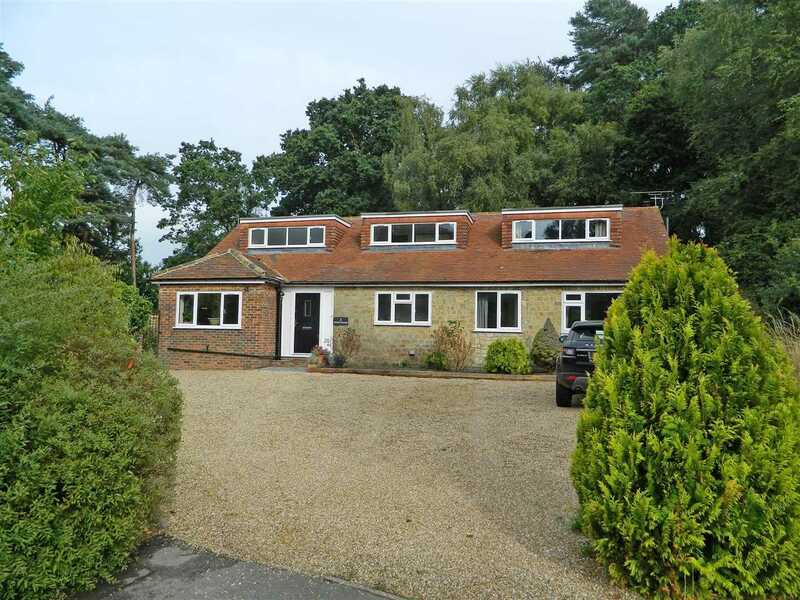 Midhurst to the north and Chichester to the south provide an excellent range of shopping and recreational facilities with the latter also boasting a mainline railway station providing access to London Victoria. 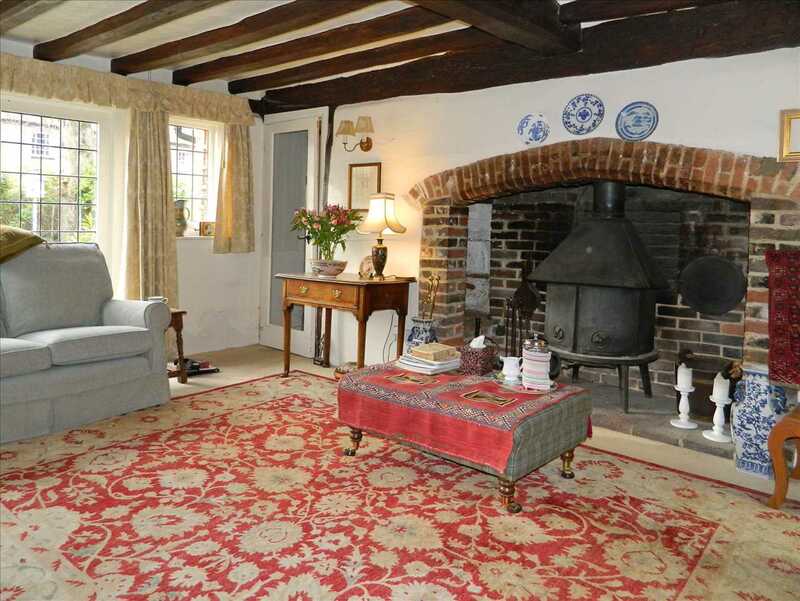 Other nearby towns include Petersfield & Haslemere which provide further amenities and rail links to London Waterloo.